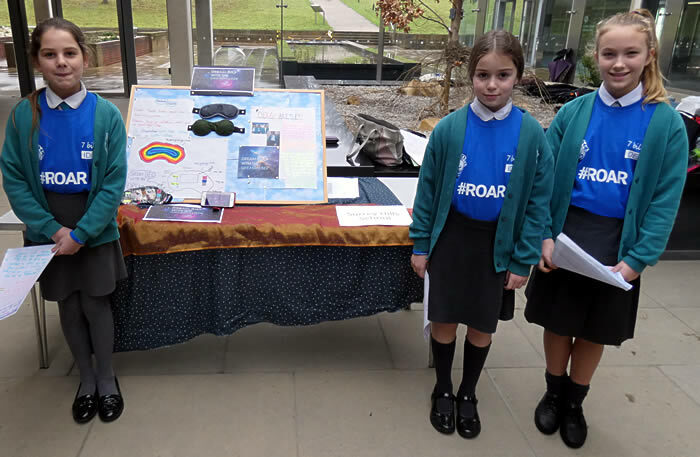 The ROAR 2018 competition finals were held in December at The Millennium Seed Bank at Wakehurst. Over 50 schools took part and attended the finals, held over two days. Judging of the entries was carried out by Lions District Governor, Pete Dilloway, with other judges from 7billionideas and Wakehurst. 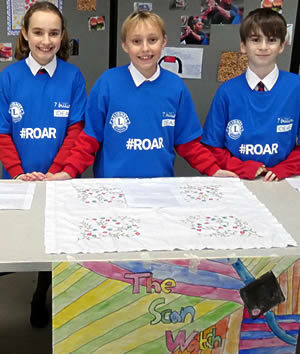 ROAR 2018 awards were given for the Best Poster describing the entry, Best Model of the design and Best Display Stand illustrating the idea. These were followed by the main Awards, which were first, second and third places for the best and most innovative ideas. The ingenuity shown by the students and the scope of the designs were remarkable and the winning idea will be described and published in a book, which will be available for purchase on Amazon. Every one of the students that took part received both a Certificate and a Medal, as a memento of their contribution to a very interesting and inspiring day. Surrey Hills C of E Primary School won the Best Poster award, which was an excellent result. There was also a fun competition, to build the tallest tower from marshmallows, spaghetti, Sellotape and string, which was won by Rudgewick School.